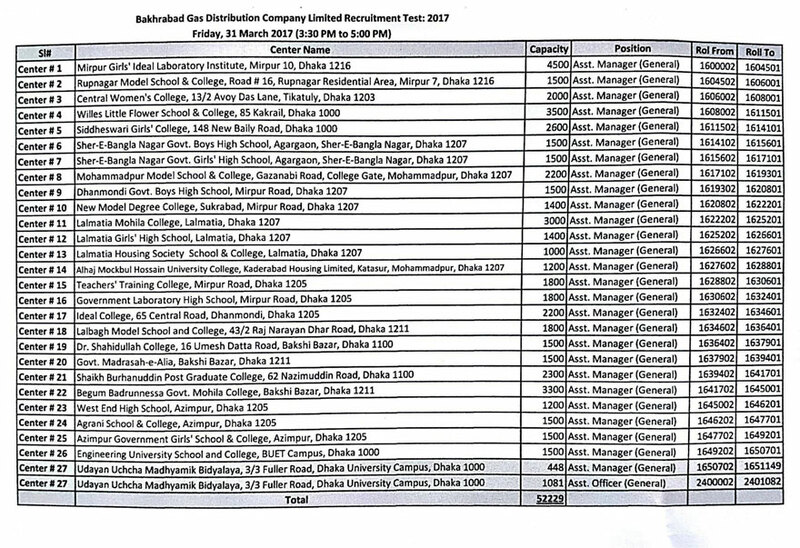 Download Admit Card and Recruitment Test Seat Plan 2017 of Bakhrabad Gas Distribution Company. The Recruitment Test will be held on Friday 31 March 2017 at 10:00 A.M.to 11:30 A.M. and 3:30 P.M.to 5:00 P.M. BGDCL Bakhrabad Gas Distribution Company Job Circular 2016. 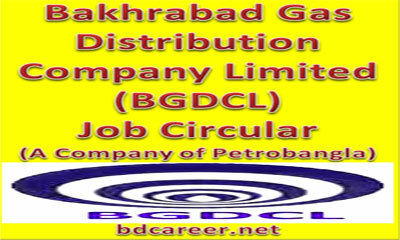 Bakhrabad Gas Distribution Company Limited (BGDCL) (A Company of Petrobangla) will recruit for various 86 Posts circulated on 02 October 2016. 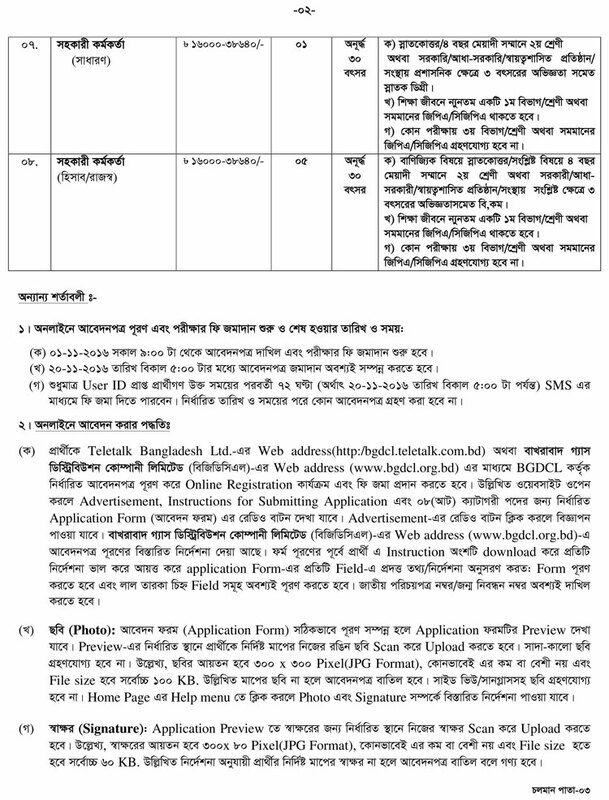 Interested and eligible Bangladeshi Citizenship candidates are requested to apply online process after fulfilling the criteria under circularized conditions and instructions. The Deadline for submitting Online Application is 20 November 2016 at 05:00 P.M.
Bakhrabad Gas Distribution Company Job 2016. Bakhrabad Gas Distribution Company Limited (BGDCL) started its function since 7 June 1980 in the name of Bakhrabad Gas Systems Limited (BGSL) as a model company in the gas sector with the responsibilities of gas production, transmission, and distribution. 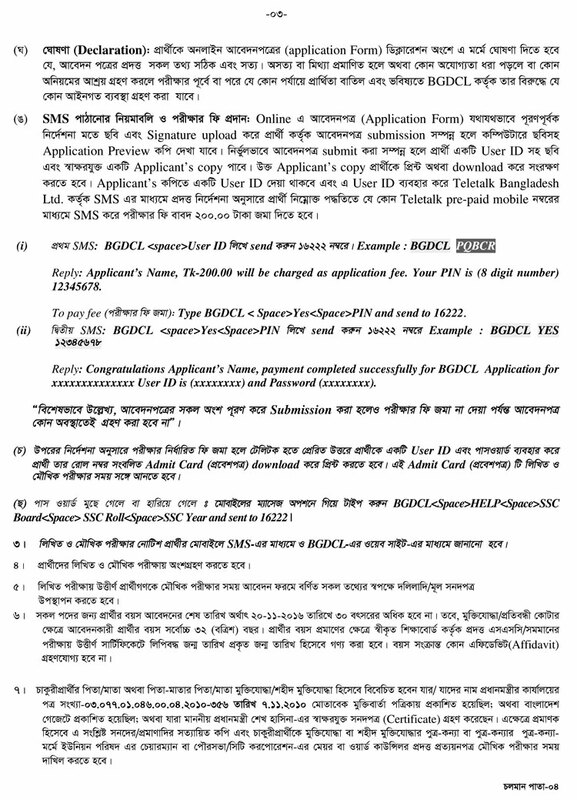 Interested Bangladeshi candidates may Apply through http://bgdcl.teletalk.com.bd on or before 20 November 2016 after fulfilling the circularized conditions and instructions (See the Job Circular for Details).